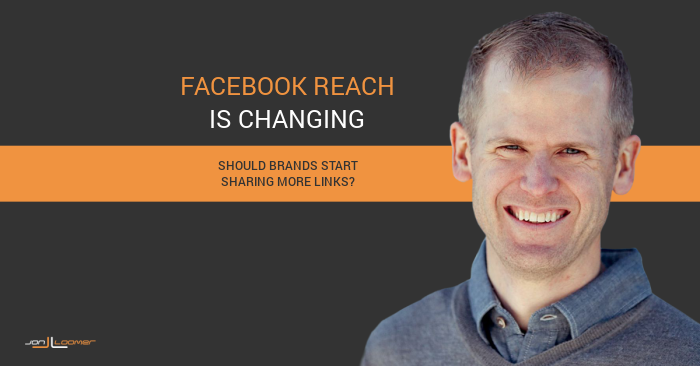 Facebook Organic Reach is Changing: Should Brands Share More Links? Locowise recently published research that grabbed my attention. Shared by AdWeek’s Social Times, I clicked on an article titled STUDY: Facebook Pages’ Organic Reach Is Not Quite Dead. I’ve battled the “Organic Reach is Dead” claim many times before. It’s not dead. And I’m tired of focusing on this secondary metric instead of actions. So the title drew me in as something that I expected to agree with. But the problem is where that article leads us. Ultimately, the recommendations are terrible for marketers, and only perpetuate the primitive algorithm chasing that does us no good. The report started out harmless — even helpful. After analyzing 500 Facebook pages throughout February, Locowise determined that the average page reached a number that was seven percent of their fans organically. What also comes as no surprise is that organic reach is better for smaller pages than big ones. Average organic reach was 11 percent of number of fans for pages with fewer than 10,000 likes while only 5 percent for pages with more than 100,000 likes. Up until this point, this is interesting information to have. But the problem becomes what people do with this information — and ultimately what Locowise recommends. This data says you should stop posting photos directly but include stunning imagery in the thumbnail images of your link posts instead. I have a hard time believing this is even real. This is awful advice, and I’ll get to why in a moment. Publish link posts if you want to reach more people organically. Use stunning photos you would have posted directly as custom link thumbnails instead in order to gain more clicks and engagement. Instead of posting photos, you should share them as link thumbnails? Because of the added reach and supposed clicks and engagement? If you have a photo to share, it’s because you have a photo to share. It’s not because you want to drive someone to your website (there are rare exceptions). So if I have a picture of the mountains, should I just make sure to make that a link thumbnail? To… what exactly? So, next time I have a sweet Instagram photo to share, I’m going to take that square photo and crop it to be a 1.91:1 aspect ratio — ideal for link thumbnails. Then I’m going to have that link to the homepage of my website. Or to a lame blog post about that photo. Because people will love that. Since links get the most reach now, I’m no longer going to share text updates when I want to start a conversation. Instead, I’m going to try to start a conversation and then share a link that is hopefully connected in some way. It will confuse my audience — and it’s unlikely to generate more discussion — but at least it will reach more people. Maybe I’ll just put the text in the link thumbnail! Since videos get more reach than photos, why share photos at all anymore? That’s dumb. I’ll just take a video of the photo I wanted to share. Since it will reach more people, that will be great! I know this sounds ridiculous, and it should. It is completely and utterly ridiculous. And this approach is exactly why marketers are constantly scrambling. But as ridiculous as it may sound, it’s nothing new. Marketers do things just like this, repeatedly. All in the name of reach. Algorithms constantly change, and marketers tend to be to blame. It’s because we (or, I like to say “they”) are so irrationally obsessed with the reach metric that they’ll do crazy things. When text updates received the most reach, everyone used text to share links — deleting the preview and only leaving an ugly URL. It rarely resulted in more traffic. Users hated it (they’d never share links that way). But it reached more people, so AWESOME! When photo updates received the most reach, everyone used photos to share links. They’d share a photo and put the ugly URL in the description. It resulted in more reach and engagement, but it was completely empty engagement. People rarely clicked on the link. The reason text did get the most reach is that users tended to engage more with text updates. But that changed when marketers made them so undesirable. The reason photos received the most reach was that users tended to love engaging photos. But then marketers used photos of anything and everything to share links that were often unrelated and ruined it for everyone. Marketers post in ways that are unnatural — ways that users never would — just to take advantage of temporary trends (or weaknesses) in what Facebook is most likely to surface. Text updates were no longer interesting because marketers ruined them. Photo updates were no longer engaging because marketers ruined them. One reason Facebook is forced to constantly tweak the algorithm is that marketers are always trying to manipulate it. Locowise recommends using links to share photos now. This only makes sense if you were previously chasing the algorithm by using photos to share links. Otherwise, this is rarely going to be a good user experience. What in the world do you think is going to happen if marketers now feel the need to only share links, forcing this type of share when it should have been a text update or photo — all because of reach? Marketers will force the usage of links to share a photo, pointing them to often irrelevant website pages. We know this will happen based on the use of irrelevant photos to share links already. The result will be that users will hate it. They’ll click away immediately, and they may even start clicking on links less frequently. Marketers will ruin the link share, and you know what will come next. The algorithm will change, links will get less news feed distribution and marketers will scramble to the next post type that gets the most reach. I’d like to have faith in marketers that they know better, but we’ve seen this play out over and over again. They don’t learn. It amazes me that the focus is placed entirely on reach in this study. Unfortunately, given our obsession with the metric, it’s not a big surprise. If you are sharing a blog post, you should be focused on getting the most website clicks possible. If you are sharing a photo, you should be focused on getting as much engagement as possible. If you are sharing a text update, you should be focused on getting as many comments as possible. If you are sharing a video, you should be focused primarily on getting as many video views as possible, with website clicks sometimes being a secondary metric (when call-to-action button is used). High reach does not guarantee that any of these things will be good. Low reach does not guarantee they will be bad. It is simply a terrible key performance indicator unless your only objective is awareness. Even in the case of awareness, I’d argue that reach should not be your primary concern. After all, if your post reached 1,000,000 people and every single person ignored it without engaging in any way, I doubt those people would be particularly more aware about your brand. By focusing on reach, you are ignoring the objective you had when you decided to make the share. You then share content unnaturally, and in ways that users would never share. If you force a photo to be shared as a link, will you really get more people clicking in that photo? That’s the reason you wanted to share the photo in the first place, right? Should You Start Sharing More Links? I find this entire discussion somewhat comical. Should you share more links? If you have lots of interesting links to share, I guess. If you were previously sharing links as photos or text updates with a text URL, yeah. You should change that. That was dumb. But that’s been dumb for a long time, not just because links get more reach now. You shouldn’t start sharing links for the sake of sharing links. It should depend on what type of content you have, where you can provide value and what your objectives are. The reason I scratch my head over this is that these algorithm changes don’t ever change my approach. When everyone said not to share links — and if you did, share them as text or photos — I was still sharing links the way Facebook intended. I do not refuse to share certain content based on the reach I can expect. If you want to start a conversation, share a text update. If you want to share a great photo, just share that great photo. If you want to drive traffic to your website, share that link the way Facebook intended. Marketers tend to be overwhelmed by the changes, but it’s not particularly overwhelming if you refuse to allow them to dictate your approach. The biggest issue I have with all of this is that reach doesn’t always equal actions. And it especially won’t always result in the actions you are looking for. Marketers will often say that a post that gets lots of engagement will naturally receive more reach. So they are connected in this way. This is only partially true. Yes, Facebook takes queues from users by how they engage with content. If the initial audience loves your post, Facebook is more likely to show it to others. But that doesn’t always mean great reach. Just more reach than if that same post at the same time targeted at the same people had been terrible. And more reach doesn’t always guarantee you received more actions — like website clicks. It’s a good sign, but the two aren’t always connected. If one link share reaches 20,000 people and the other reaches 15,000, that does not guarantee that the one reaching 20,000 will get the most website clicks. 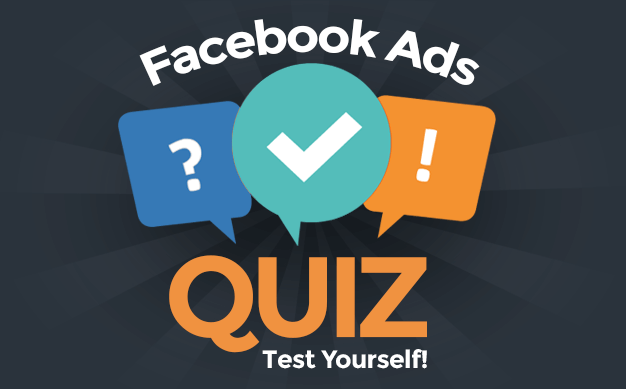 An extreme example came from my recent Facebook ads experiment. These ads targeted very small audiences (often fewer than 1-2,000), and they resulted in up to 75% organic reach due to the high level of engagement. While reaching such a small number of people, I was routinely getting around 1,000 website clicks. If you’ve run many ads, you know how incredibly difficult that is while targeting a small audience. But this is also the case for organic posts shared to pages as well. While reach and website clicks may be loosely connected, it is not a direct correlation. In fact, I did a little research on this. I wrote this post for my Power Hitters Club members digging into my shares from the past five months. The results may surprise you. What do you think about this report from Locowise, and the recommendation that you should start sharing more links?